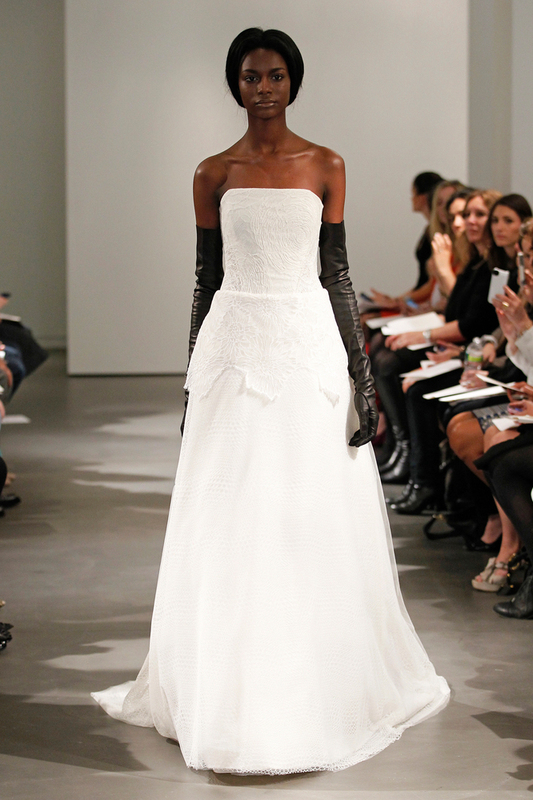 The latest Vera Wang bridal collection, which was featured at the New York City bridal market last April, is full of bold and modern silhouettes. 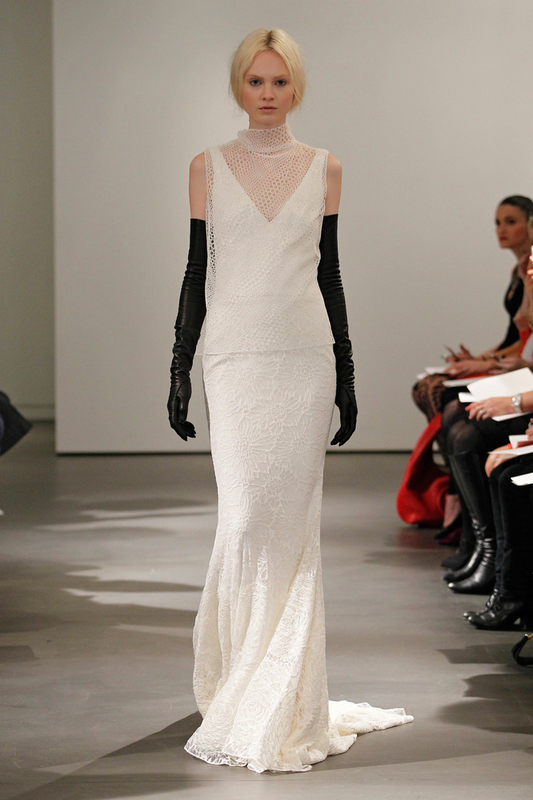 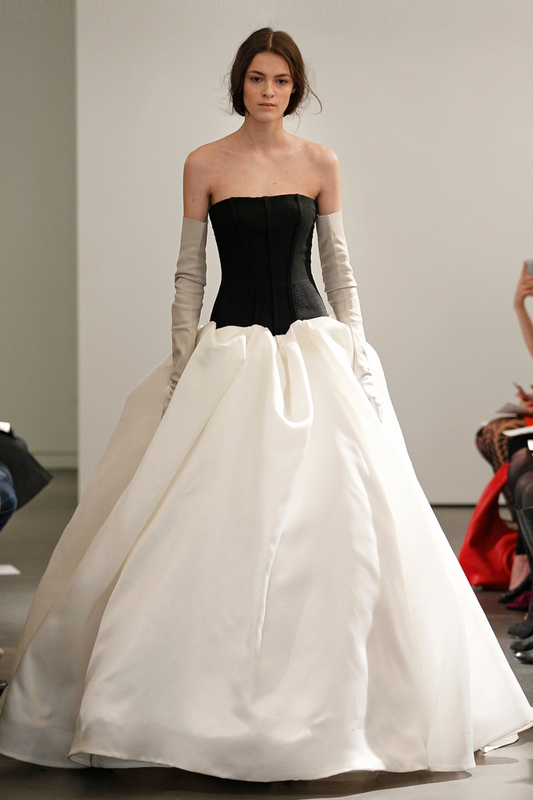 The combination of white gowns with full length black leather gloves makes the collection sophisticated and sensual. 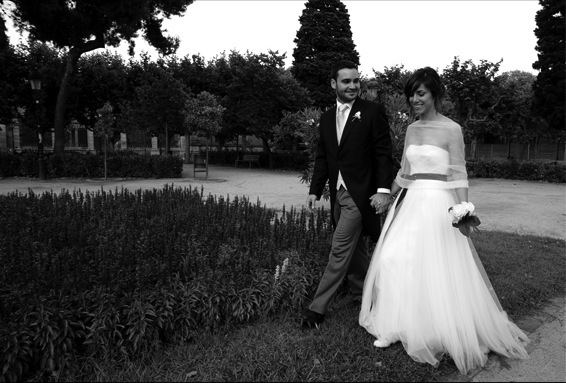 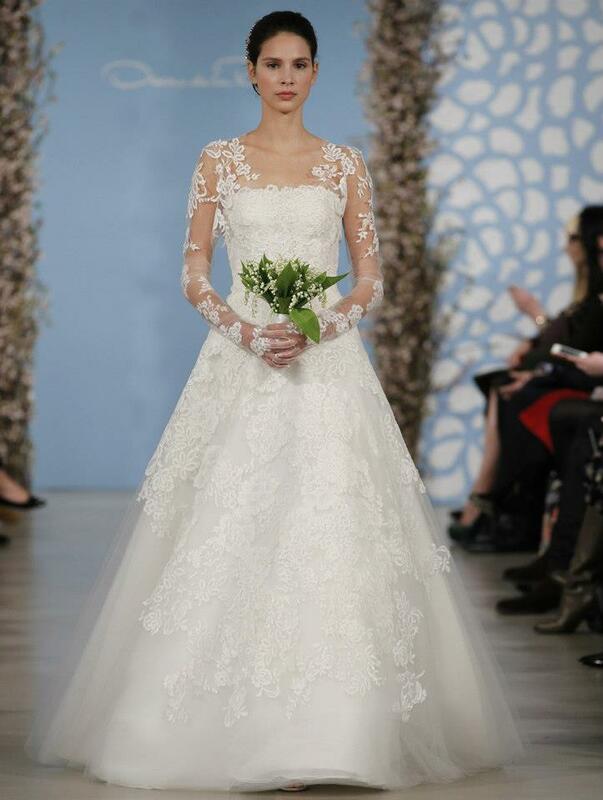 “The Spring 2014 Bridal Collection celebrates a sense of architecture and discipline. 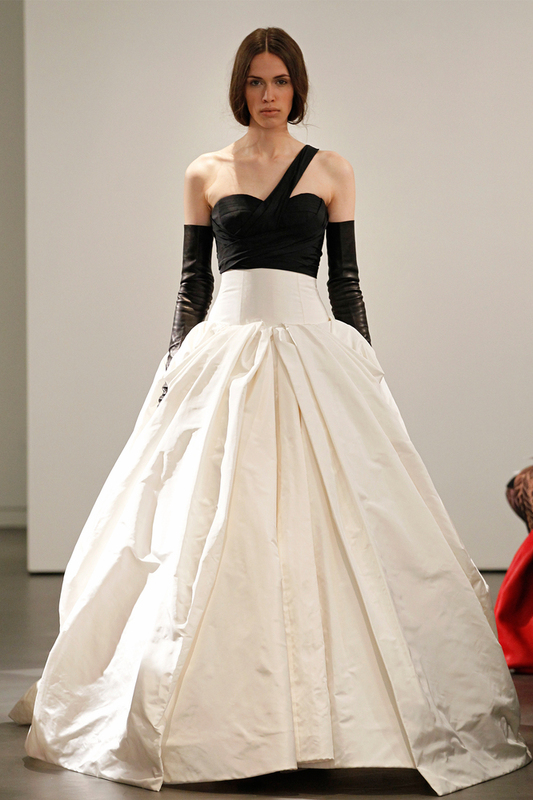 The graphic play of black and white, the layering of new laces, texture on texture and an exploration of different volumes all express a new level of modern sensuality with a decidedly fashion edge.” Says Vera Wang.